2015’s endless runner game for mobile devices to commemorate the 35th anniversary of the cult Pac-Man's release is now on PC. It will offer additional features in comparison with the original, including a local cooperative multiplayer mode for up to four players, social sharing option as well as 10 extra themes. The original Pac-Man was released on May 21, 1980. 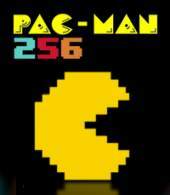 Pac-Man 256's title derives from a glitch of the original game which caused the game's screen to become corrupted once the player reached 256th level. This was due to the technical limitations of 8-bit platforms. Although Pac-Man was supposed to go on indefinitely, it becomes practically unplayable upon reaching the aforementioned 256th level.